So I really like this room. My love for it was instantaneous. The quiet intimacy of this room, even without the candles (an impressive touch, I might add), is superb. The high ceilings and cushy furniture (and table…good for the coffee and the whiskey) add just a touch of the cozy and a fine dose of comfort to really pull the small space together. And the doors are a great, clever touch to keep the world (and noise) at bay when need be. 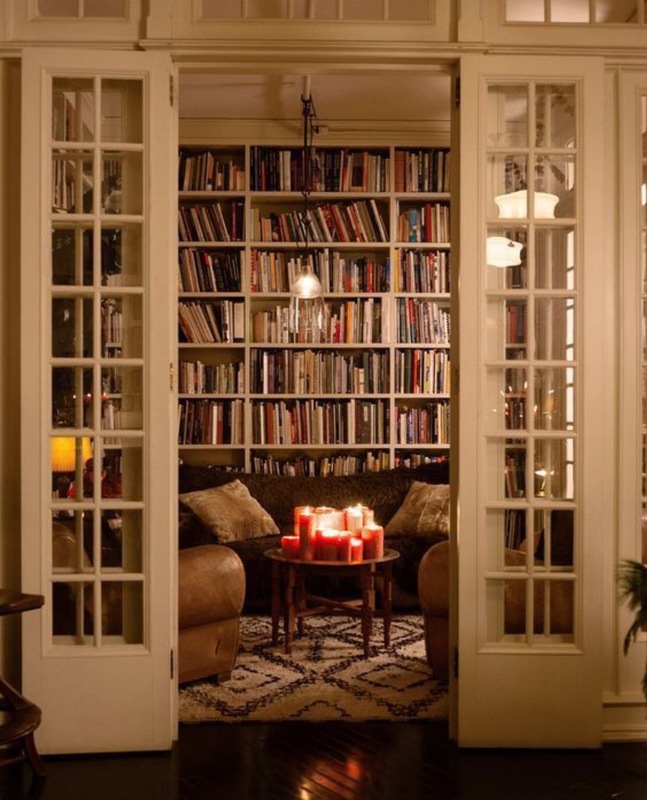 This, my friends, is a book lover’s room. It’s definitely a daydream inducing room, that’s for sure! I do the exact same thing…it’s a fun little escape into dreamland! It’s hard not to daydream when it comes to awesome spaces like these. This space is top notch…thanks for checking it out!